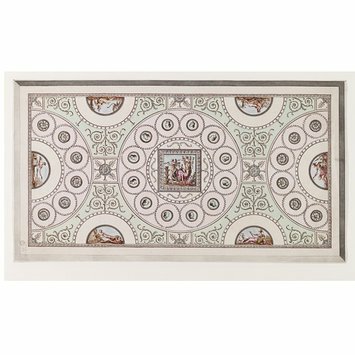 This print is a design for a library ceiling. It is from A Collection of Ceilings, Decorated in The Style of the Antique Grotesque, first published in parts from 1774. The designer George Richardson worked in the architectural firm of the Adam brothers, known for their neoclassical style. The Adam brothers Robert and James were active in the second half of the 18th century, and built private and public buildings in England and Scotland. This print is typical of the style of the firm: it draws inspiration from antiquity, and it is decorative yet light. From A Collection of Ceilings, Decorated in The Style of the Antique Grotesque, first published in parts from 1774. Richardson's designs reflect his work in the architectural firm of the Adam brothers. 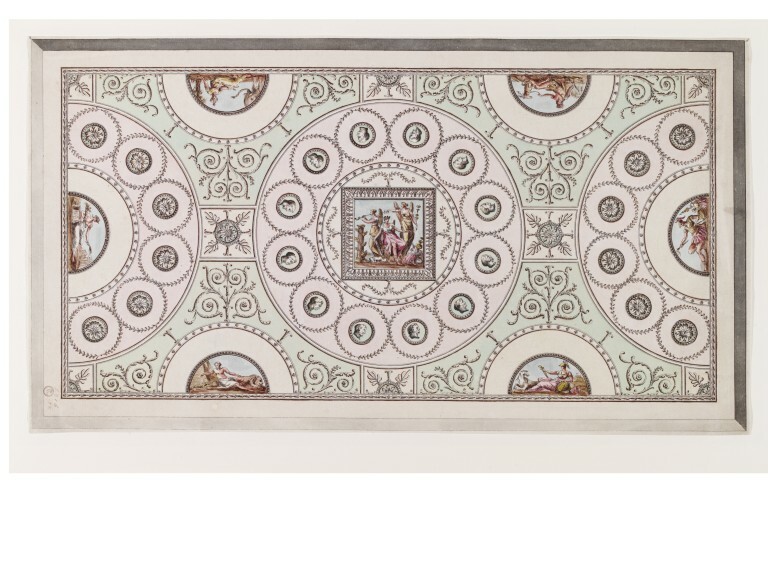 This composition, with its restrained strip ornament, resembles that of ancient Roman ceilings. George Richardson (after), plate from 'A Collection of Ceilings, Decorated In The Style of The Antique Grotesque', London, 1793. 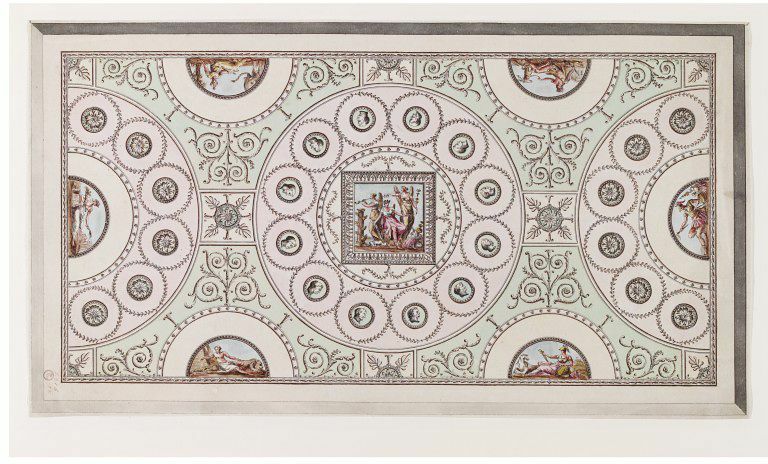 Hand-coloured etching by George Richardson from A Collection Of Ceilings, Decorated In The Style Of The Antique Grotesque, first published in parts from 1774.